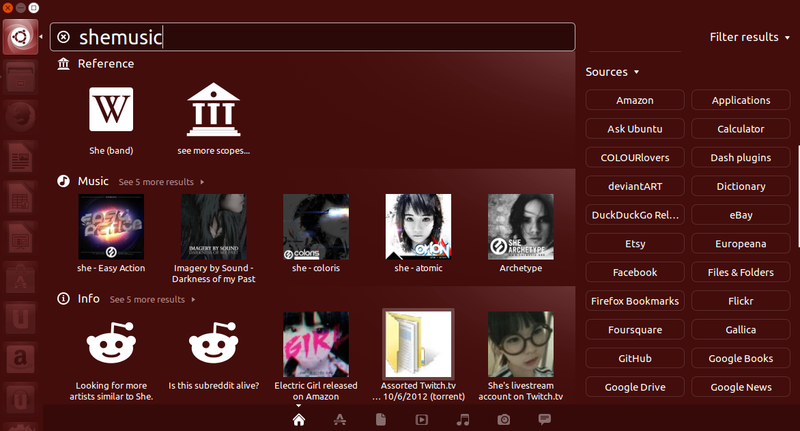 Ubuntu 13.10 'Saucy Salamander' brings "Smart Scopes" to the Dash that adds search results for a ton of other web services like Wikipedia, Foursquare, Reddit, eBay, Ubuntu One Music, Grooveshark, and others, along with your normal app and file search results. It also "learns" with you as you click on things for giving you more relevant results. The desktop version of Ubuntu doesn't have many features in this release because Ubuntu team is focusing on phone development. Canonical has released the first stable version of Ubuntu Touch. It's officially available for Nexus phones and tablets, and unofficially available for many others Android phones. I don't know why but Ubuntu has lost its charm for me. I hope Ubuntu Touch will be good. It's because we have Mint Linux now. Nice. Grooveshark is definitely welcoming! Listening to music now on their service. I don't like where Ubuntu is going. Mint is perfect for me!